Everyone indulges once in a while, right? Of course. When I’m going to indulge, I prefer it to be with healthful foods. That’s right, even foods we dub “healthy” can be an indulgence. 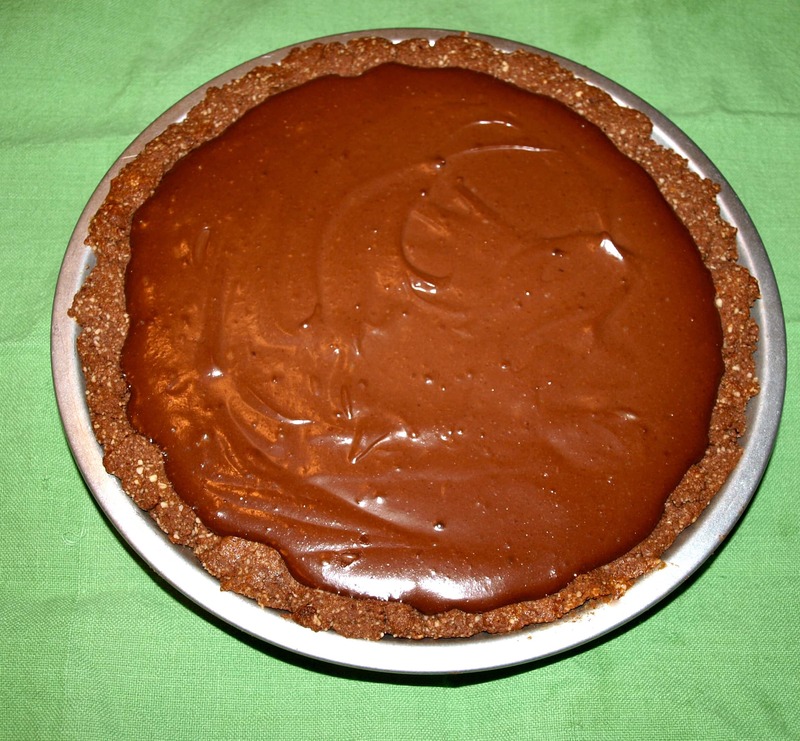 This chocolate pie is an example. 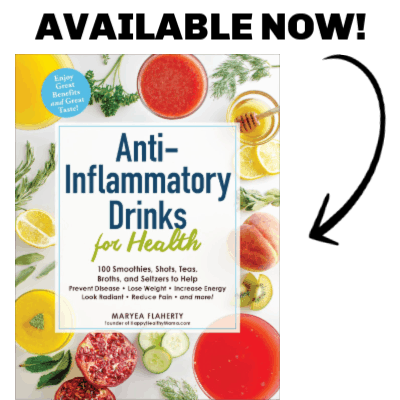 It is made up of real food and ingredients that can nourish your body. No, I wouldn’t think it wise to eat this every night. But as a once-in-a-while treat, it is a perfectly guilt-free indulgence. It’s vegan, made without too much sugar, and even without white flour! You won’t even miss the usual dessert ingredients, because this pie tastes fantastic. I’m already signed up with all of that information, but wait, there’s more. 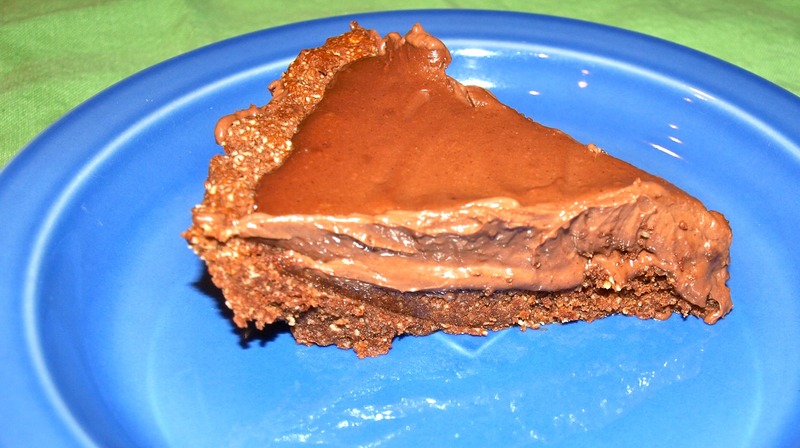 This chocolate pie is easy to make. Almost too easy. If you have a food processor you are in business and can have a delicious dessert that no one will ever guess has some serious healthfulness to it. Preheat the oven to 350 degrees. Lightly oil an 8-9 inch pie pan. In a food processor, combine almonds, rice flour, cocoa, and salt. Process until you have a crumb-like mixture. 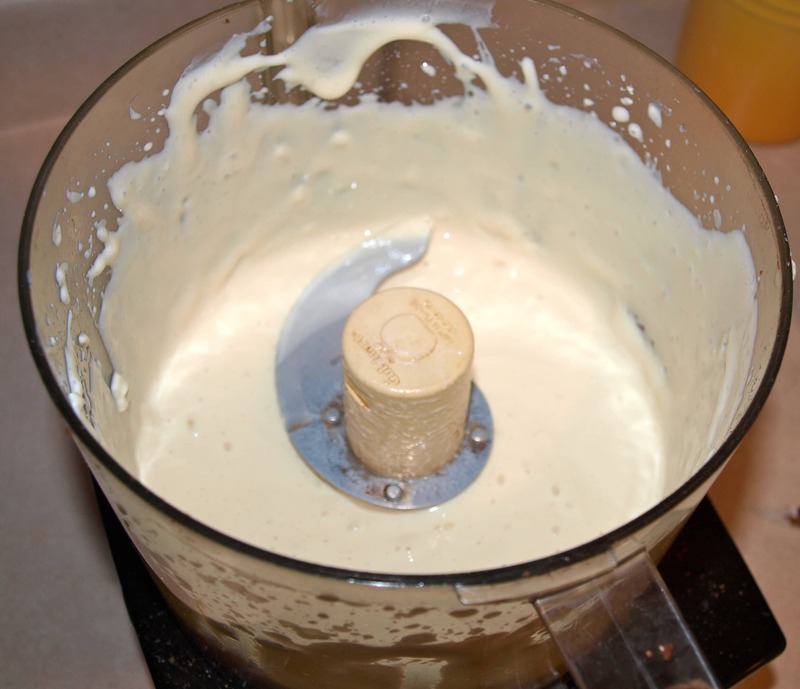 Add oil and syrup and process until it becomes a moist ball, scraping down the sides if necessary. Transfer to the pie pan and press to form an even crust. Pierce several times with a fork and bake for 15 minutes or until lightly browned. Remove from oven and allow to cool completely. Drain the tofu. (I used 3/4 of a 16 ounce container of silken tofu) Put it in the food processor (probably should clean it out first) until it is smooth and creamy. Add almond butter, syrup, vanilla and salt and process until well combined. Put your chips in a small bowl and microwave for one minute. They may not look melted, but stir to check. If not melted after stirring, microwave in 10 second intervals until they are melted. Be careful not to overcook them! You can also use a double boiler to do this, but I find the microwave method much easier. You just have to be careful as it is easy to overdo it and then you have a big hunk of hard chocolate mess. Trust me, I know. Once you have your perfectly melted chocolate chips, add them to your mixture in the food processor and blend until combined. Scrape down those sides so everything is nicely mixed. Almost done! Pour your chocolate filling into the pie shell. Smooth the top with a spatula and refrigerate for at least 30 minutes. Mmmmmmmmm you are ready to enjoy your healthy indulgence that even my sugar-addicted chocoholic husband loved. Wow, I’m drooling here. The only thing that is stopping me from making this right this second is that I don’t have brown rice flour.. It’s the only thing I don’t have in my cupboard right now! Can I use regular flour with the same results? We have a couple of vegan friends so I cook vegan pretty often and I love it. I’m sure regular flour would work great, too. Let me know if you try it!